Well, we finally had a nice weekend to be out and about. I met up with my friend Harvey on Saturday to look for some interesting birds in Cape May. There has been a Common Murre in Wildwood for the past week which is very unusual. Unfortunately, we didn't see the bird but we met an interesting guy who runs the bait and tackle shop on the pier. 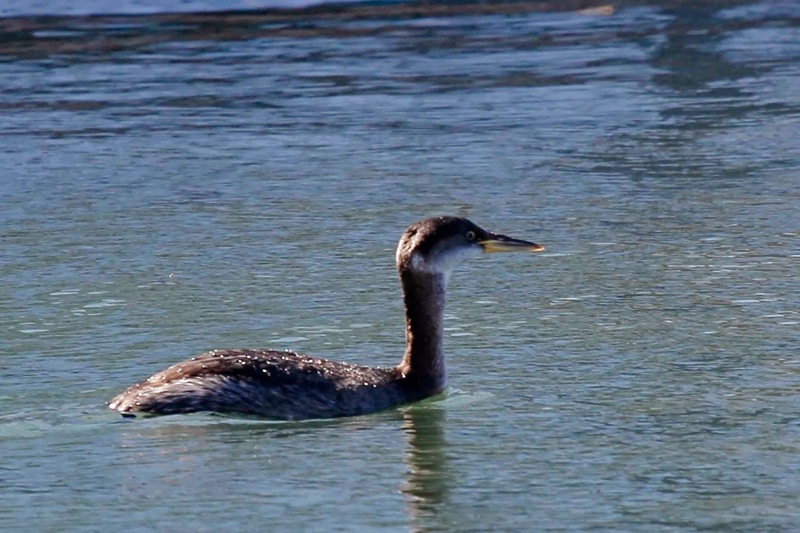 We did have great looks at a Red-necked Grebe. 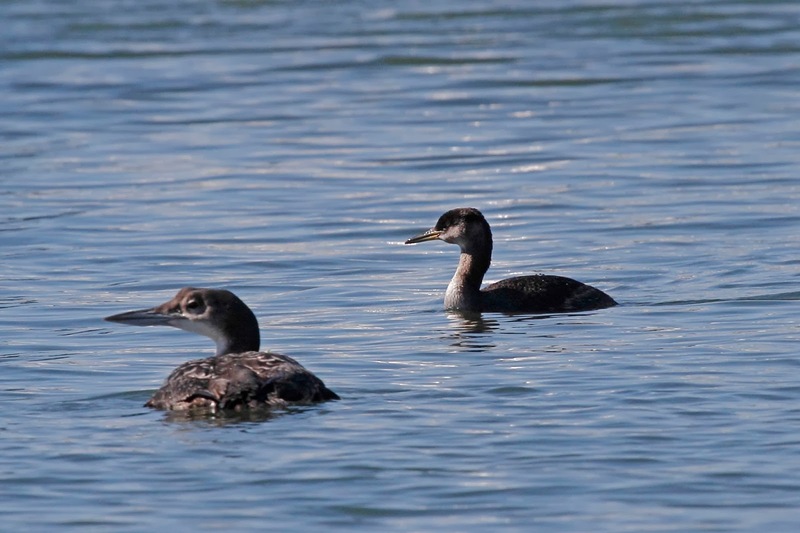 Here is another Red-necked Grebe swimming with a Common Loon. This photo is a great size comparison. 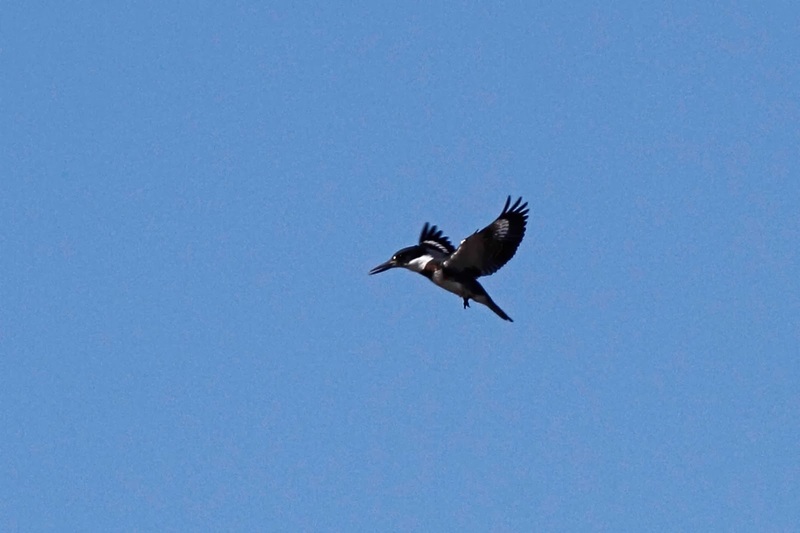 We also saw a Belted Kingfisher diving for breakfast and picked out a Eurasian Widgeon from a flock near Breez-e-Lee Marina. Can you find the Eurasian Widgeon in the photo below? 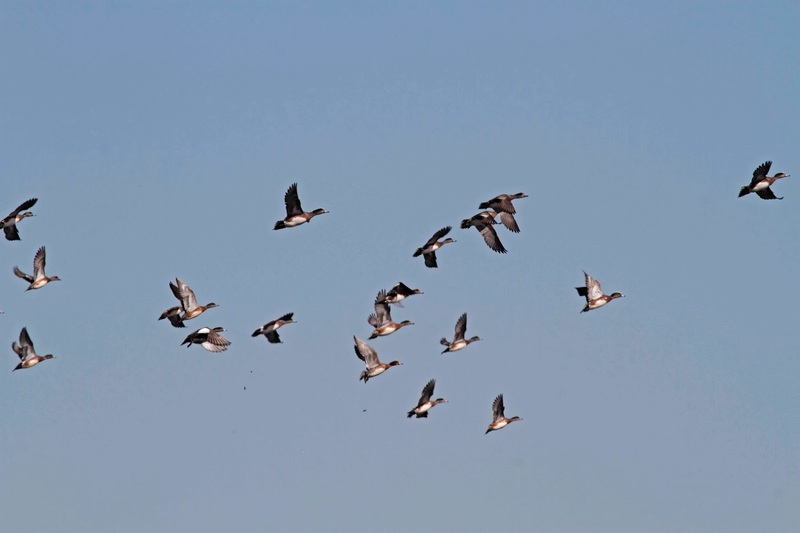 There is only one - the rest are American Widgeon. We stopped by Stone Harbor Point. I got my best photo ever of an Ipswich Sparrow. 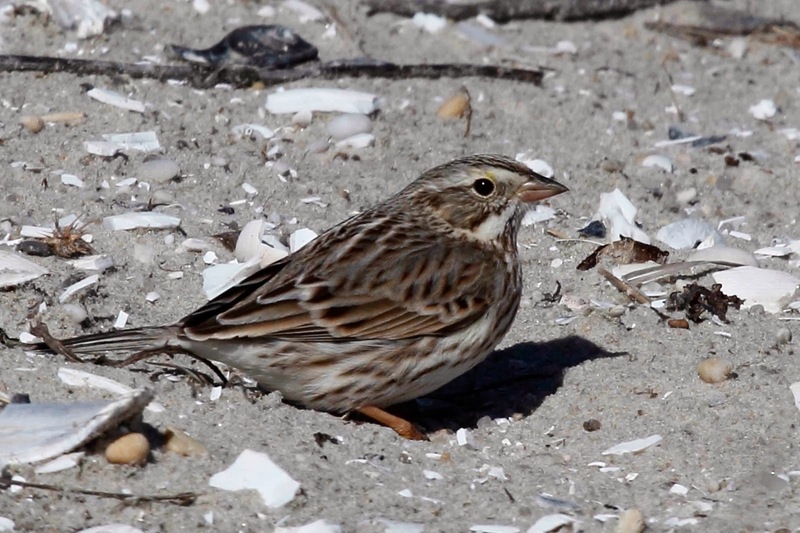 Ipswich is an island in New England that produces a special race of Savannah Sparrows which are lighter in color that the normal Savannahs. This little guy scurried out into the open which allowed me to snap a few shots. 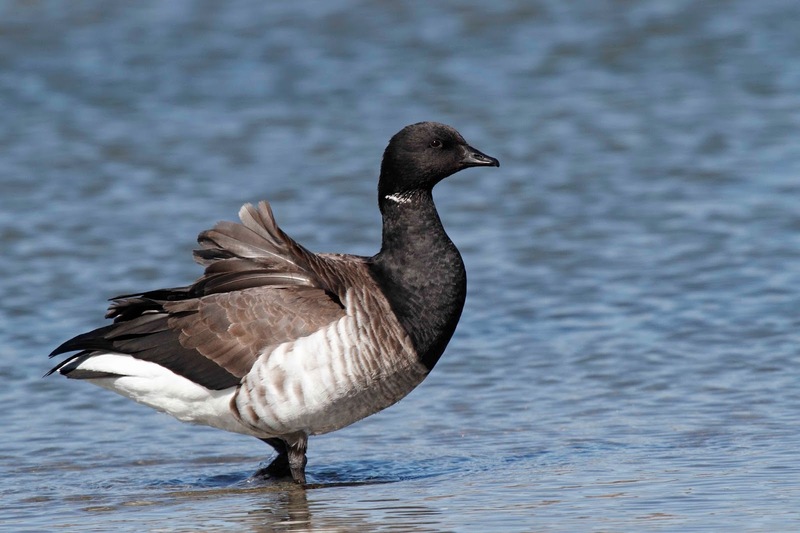 Here is a photo of Brant. This is like a goose but smaller. I love their black heads and little bills. This guy has a bum foot but seems to get around fine. I stayed overnight with Patience so that I could stay at the shore but not have to turn on the heat at the Blue House. I took one more little outing before having a delicious dinner at Pay's. 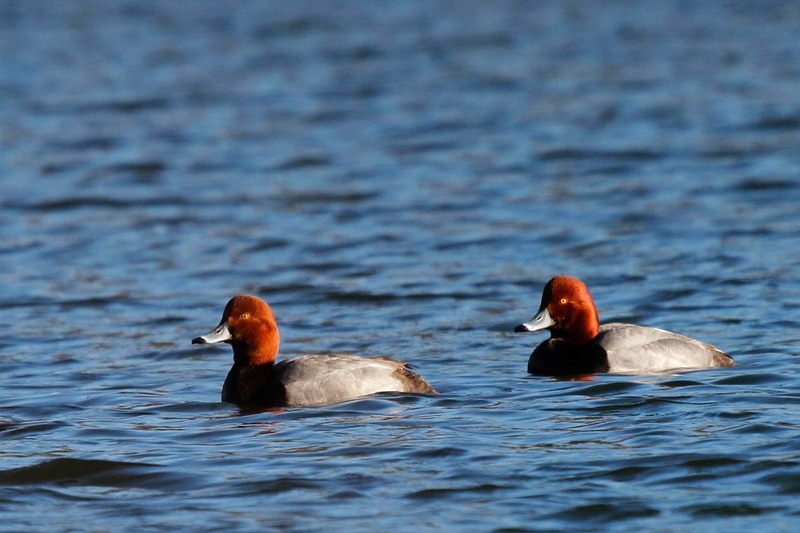 Here is my best photo of Redheads on the lake at Cox Hall Creek. I'll tell you more from the weekend in a separate post.